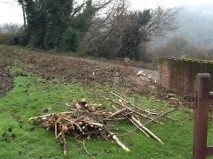 The front hedge bordering onto Wyesham Road was a bit of a disaster! The little wall that has been built and front gate is a nice feature. However this continued into a very straggly and overgrown hedge, with many random plants, including ivy, holly, and many others all held together with a mass of brambles. 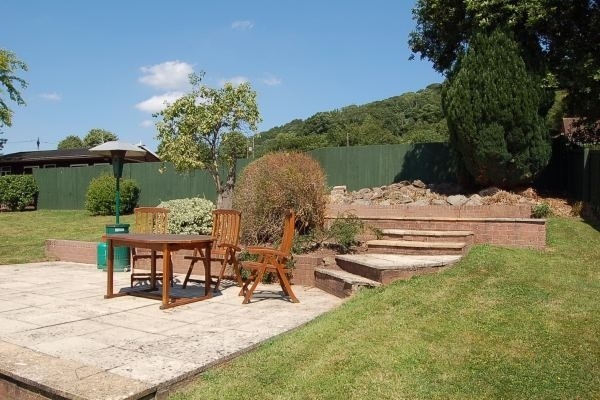 Although the brambles were excellent for blackberries, of which we picked many, we decided it didn’t add to the appearance of Springdale and the garden, and we wanted the front to look good and look cared for! 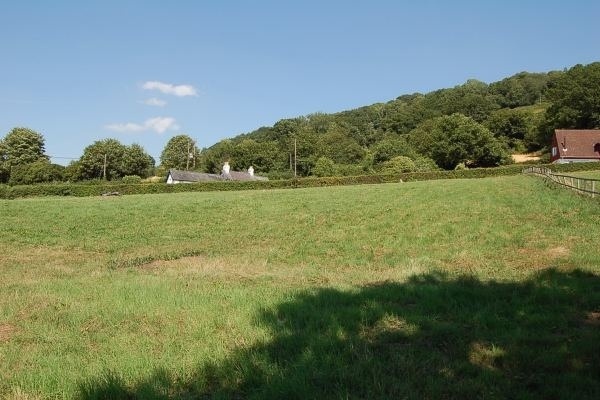 With that in mind we looked into various possibilities: cutting the hedge well back and leaving it, cutting the hedge down and extending the wall, cutting the hedge down and putting up fencing, or cutting the hedge down and digging up as many roots as possible and replanting a new hedge. Unexpectedly a birthday treat for my mother provided us with a great solution. My sister booked up for us to go to see Prince Charles’ garden, Highgrove. This was where we picked up many garden ideas, one of which was Yew hedges. So out came the front hedge. 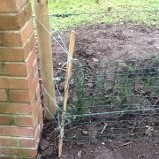 It took many hours of hard digging to remove very well established roots. 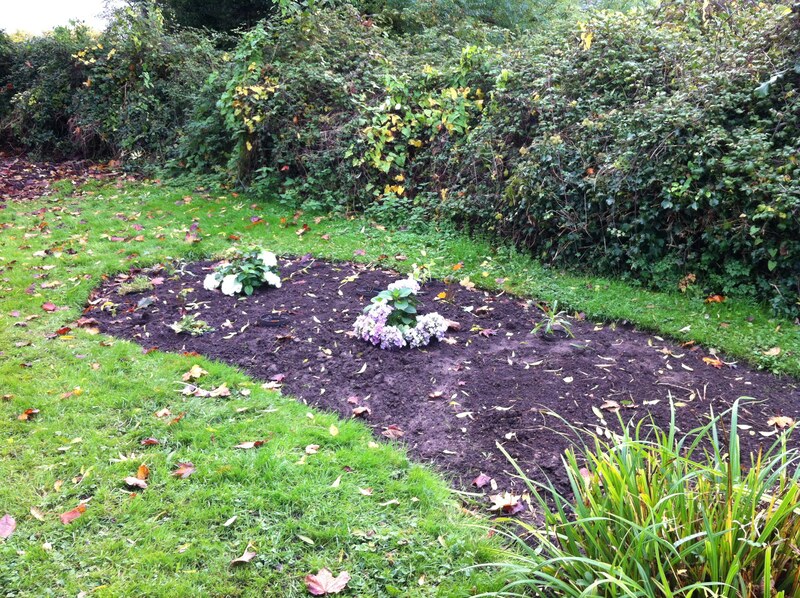 The ground was thoroughly dug over a few times to remove as many roots as possible. 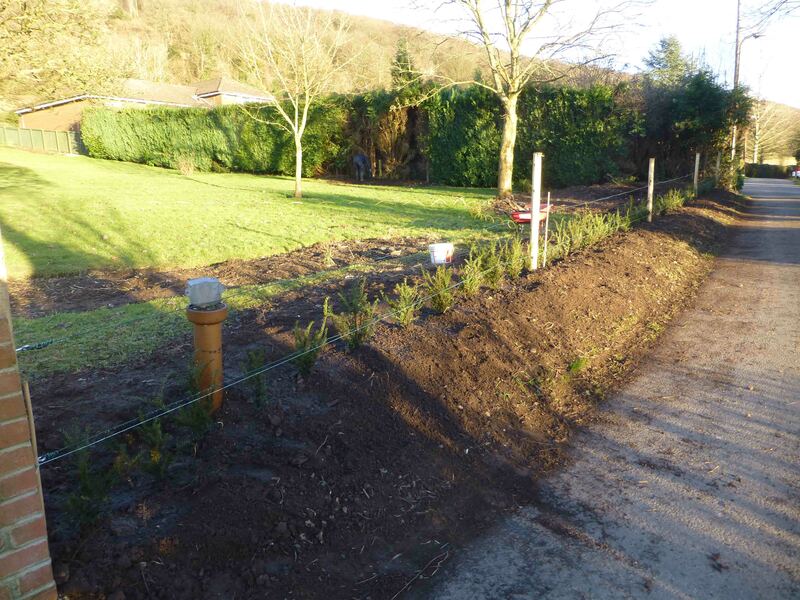 In the coming year it will have to be carefully kept in check during the growing season, removing any regeneration of the old hedging plants. 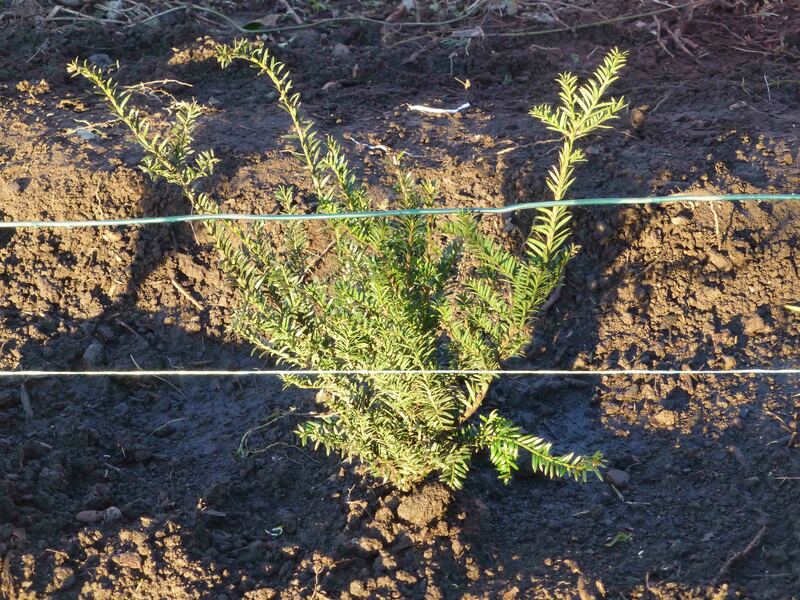 Bare root Yew trees were purchased, enough for 3 plants per metre. 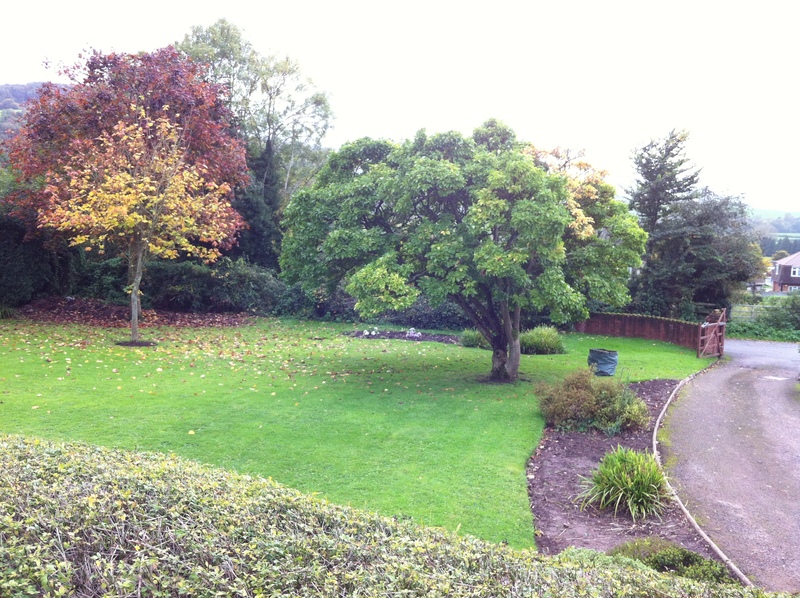 (Taxus Baccata Hedging) Plants were 30 – 40 cm tall, but some of the specimens supplied were larger. 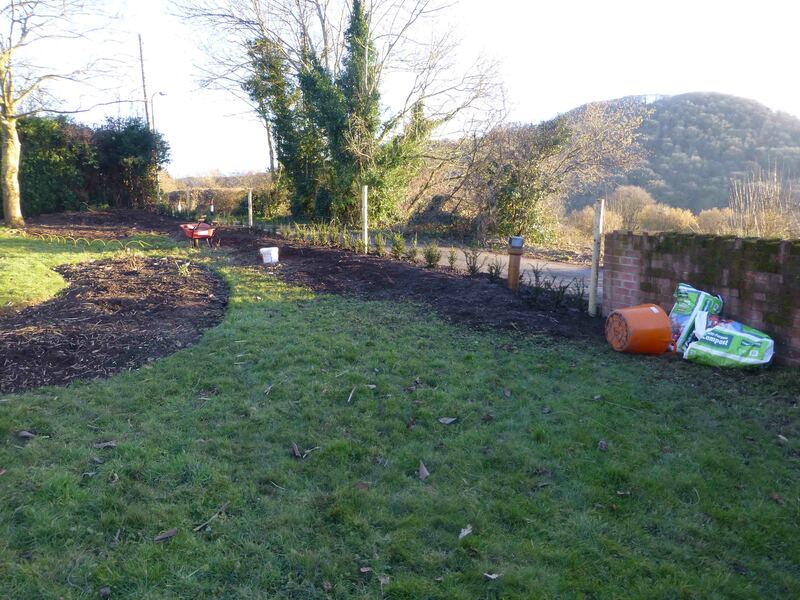 The ground was prepared as follows: a trench was dug directly behind the newly wired fence; compost was added, and mixed in well with a sprinkle of bone meal. Yew trees, however, will not tolerate waterlogged ground. 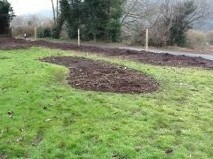 Then trees were laid in place and as each tree was planted the roots were spread out so they were adjacent to the fence. Each tree was firmed in place using a booted foot, coming out from the tree like the rays of the sun. Each tree was then well watered. 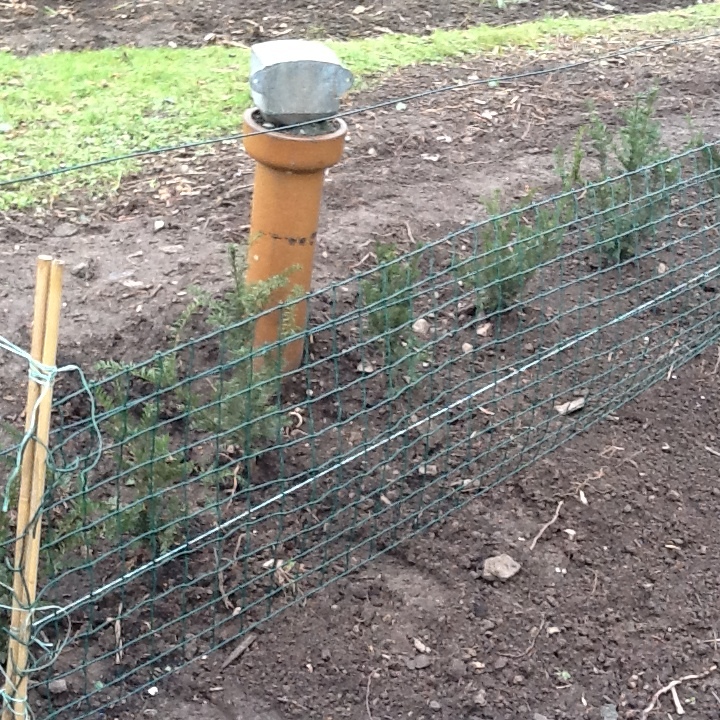 After research, we discovered that Yew hedges are very versatile and there are many benefits of using these plants. 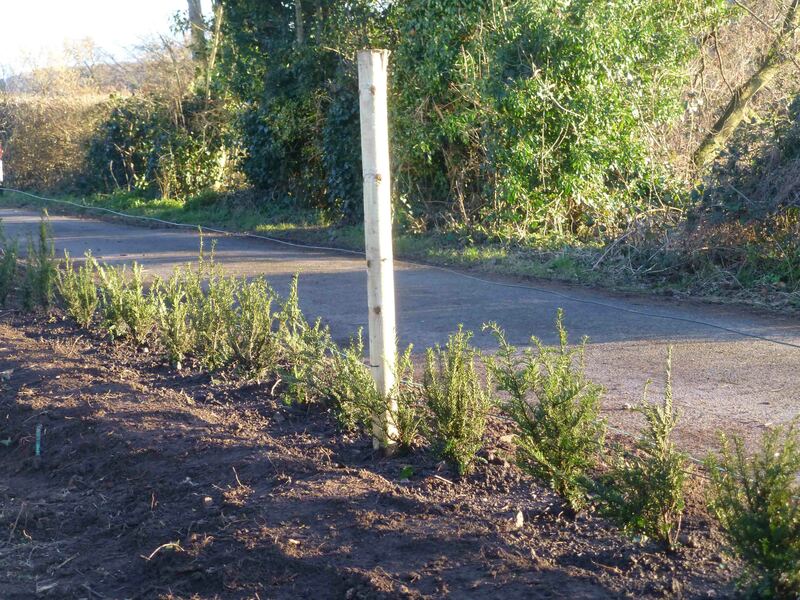 Yew hedge plants will eventually create a dense hedge and grow 20-40cm a year. 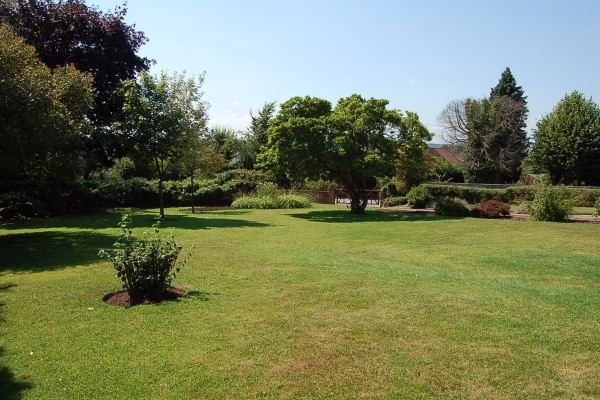 They are evergreen, provide a good screening and help reduce noise; they are low maintenance and can tolerate quite hard pruning, and can be shaped, even with little window holes, as at Highgrove; they are good for wildlife, both food and shelter; and they live for many years and will outlast other conifer hedge varieties. 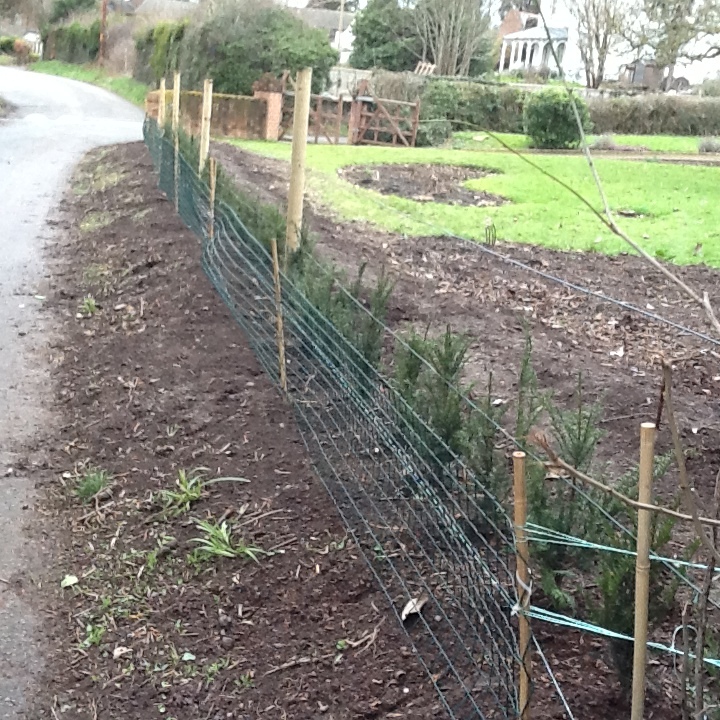 Also planting a Yew hedge is far more economical as they cost far less than building a wall. My brother-in-law and sister have had great success with the Yew hedge having used them in previous gardens on a number of occasions and these hedges are still growing well today. 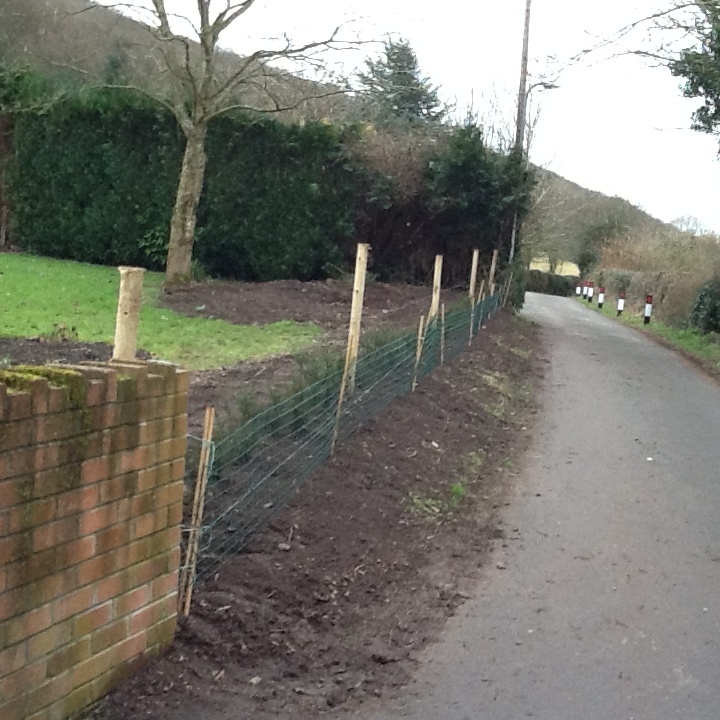 Finally to give the hedge a good start an extra fence was put in place on the roadside to give the hedge extra protection. This is just a temporary measure and will be removed when the Yew hedge starts to thicken up and becomes well established. Bareroot plants are usually available between November and March but rootballs are available all year and can be planted anytime. Interestingly scientists have also discovered that Yew contains a chemical called Taxol that can be used in the treatment of cancer. Trimmings of fresh growth of yew can be collected for extraction of the chemical as we discovered from Highgrove. 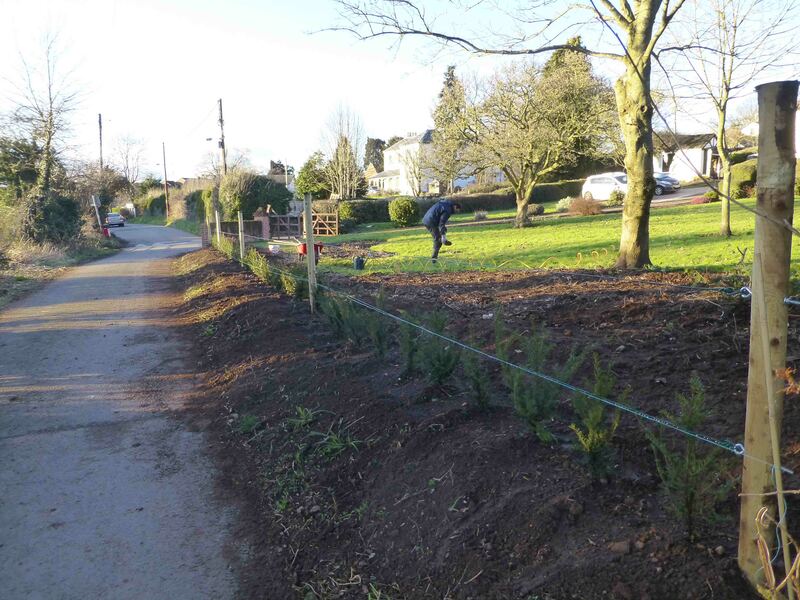 This entry was posted in Front Gardens and tagged hedge, new, planting, yew on March 26, 2015 by debonland. What Has Happened To The Front Hedge? 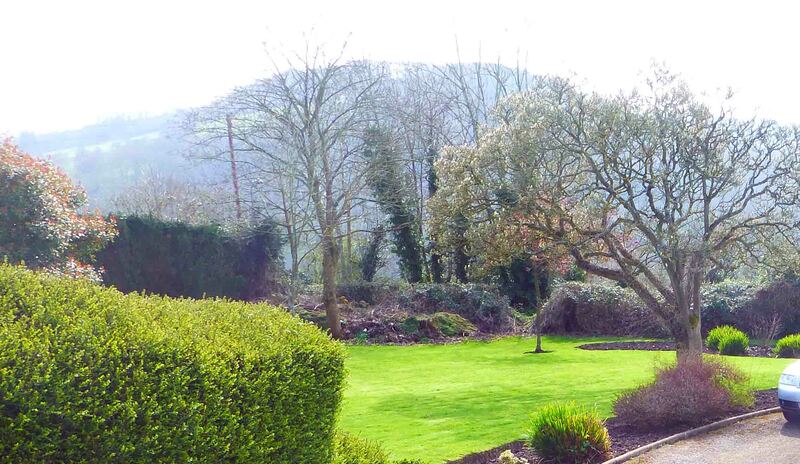 The Neglected Front Hedge – to read the whole story please click on the Front Yew Hedge tab. 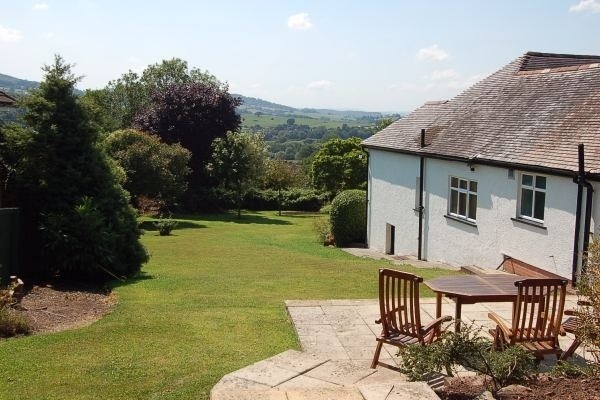 Above is a photo of the original hedge in the front garden. A very overgrown affair! It has now had quite a makeover. 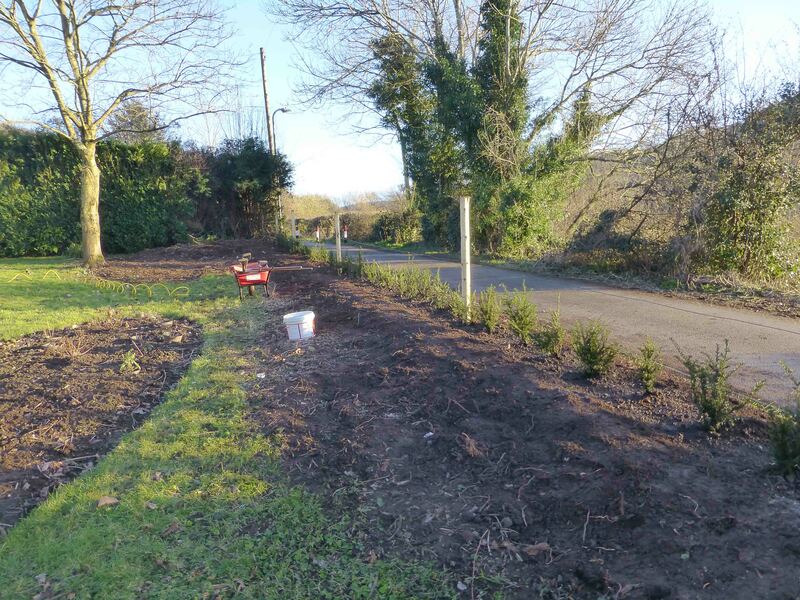 This entry was posted in Front Gardens and tagged Yew Hedge on March 22, 2015 by debonland. This entry was posted in Fields 1 and 2 on March 14, 2015 by debonland. This entry was posted in Back Gardens on March 12, 2015 by debonland. This entry was posted in Fields 1 and 2 on March 12, 2015 by debonland. This entry was posted in Front Gardens on March 11, 2015 by debonland. This entry was posted in Back Gardens on March 11, 2015 by debonland.